The U.S. Food And Drug Administration has redesigned nutrition labels on food packages to show the amount of added sugar in a product. It’s the first redesign in nutrition labels in over 20 years, notes the FDA. Most food manufacturers will have to comply with the redesign by July 2018, but those who sell less than $10 million in products a year have until 2019 to get with the new program. The change is a milestone for nutrition and obesity advocates, who pointed out that the old labels had no information that helps eaters know if they’re abiding by the U.S. Dietary Guidelines’ recommendation to eat no more than 10 percent of total calories from added sugars (about 50 grams of added sugar a day for folks on a 2,000 calorie diet). 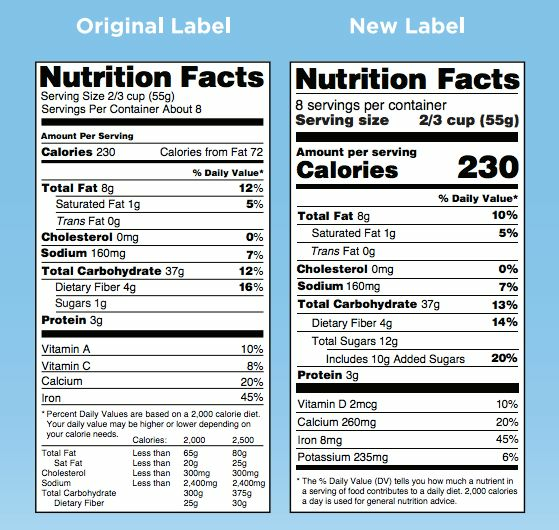 The nutrition facts label is getting a makeover that includes larger font for the calories and serving size. Added sugars — caloric sweeteners with no nutritional value that food manufacturers add to make products taste better — are distinct from naturally occurring sugars that are found in things like fruit or milk. A diet high in added sugar is linked to obesity, Type 2 diabetes and dental cavities. The new label not only lists the grams of added sugar, but it also shows the percentage of calories those added sugars make up based on a 2,000 calorie diet. The average American eats about 13 percent of their daily calories from added sugar, most of it from sugary drinks like soda, juice, sports drinks and alcohol, as well as snacks and desserts. Young children, teens and young adults eat the most added sugars, according to the 2015 to 2020 Dietary Guidelines. It’s worth noting that the 10 percent rule is one of the higher upper limit recommendations out there, especially for children. Again, that guideline works out to about 50 grams of added sugar a day for adults, but in contrast, the American Heart Association recommends that women eat no more 24 grams of added sugar, while for men their recommended limit is 36 grams. The World Health Organization recommends trying to eat no more than five percent added sugars. 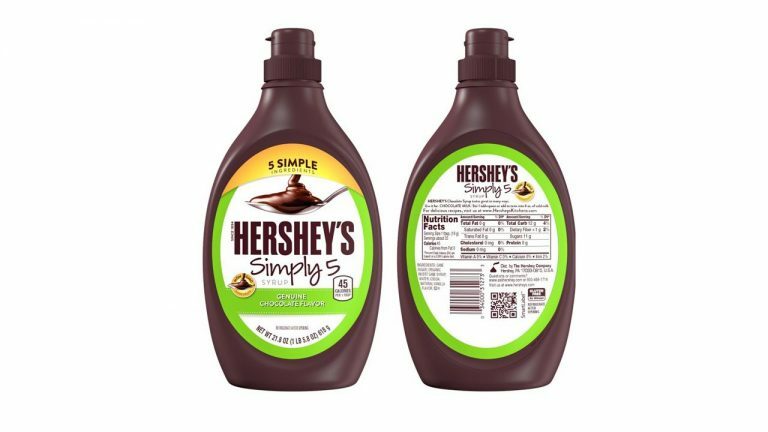 The FDA states that they hope these nutrition labels will help consumers be more informed about the things that they buy for their family. 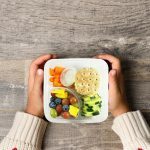 But Dr. William Dietz, chair of the Redstone Center for Prevention & Wellness at George Washington University, said he also hopes that new purchasing patterns influenced by the labels prompts a change in behavior for food manufacturers, too. 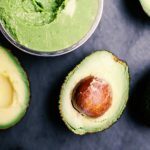 One of the other notable changes to the label is the deletion of “calories from fat,” because the most up-to-date scientific research on the issue shows that it’s more important to eat certain types of healthy fat than to simply restrict fat as a nutrient. 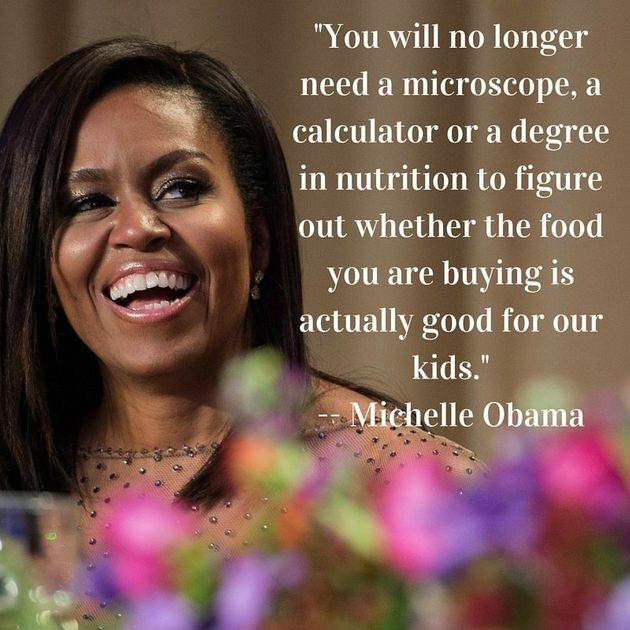 There will also be a much-needed recalibration of serving sizes for certain foods. This “reality check” will more accurately reflect the amount of food Americans actually eat and drink. For instance, a 20-ounce drink will now be labeled as a single serving, because most people who buy a 20-ounce drink consume it in one go. 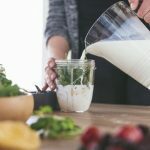 Ice cream servings will also change from a half-cup to two-thirds of a cup, and the nutrition facts will change to align with this larger amount. 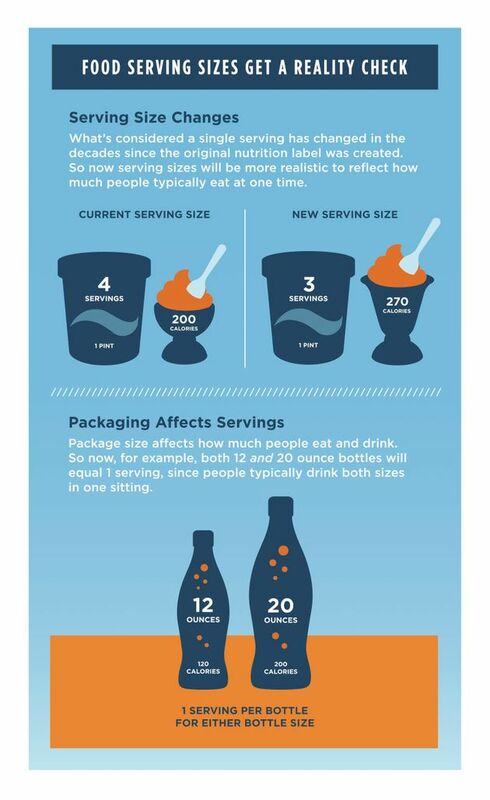 Serving sizes will more accurately reflect the way people buy and eat food. The FDA will no longer require food companies to list the amounts of Vitamin A and C in products, because research shows Americans aren’t deficient in these nutrients. We do, however, need more Vitamin D and potassium, so those nutrients are being added to the label.